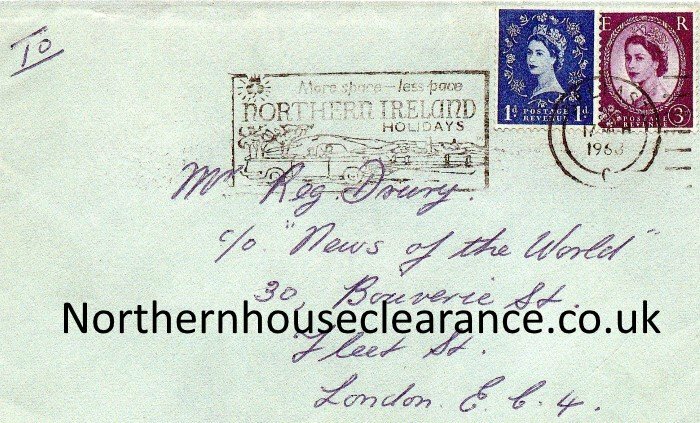 During a recent house clearance in Newcastle Upon Tyne our staff found this amazing letter from George Best’s father (R Best) talking about young George & his love of football, the letter envelope has a post mark for Belfast & dated 1963. 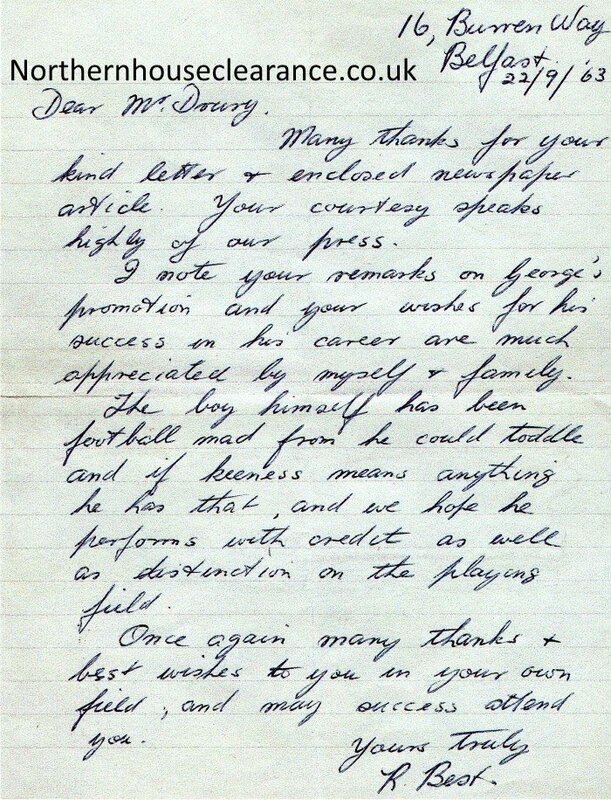 The letter appears to be addressed to a journalist called Mr Doury. Note! The letter was handed back to the customer who decided to investigate the letter further but has given us permission to publish the letter on this page. Many thanks for your kind letter & enclosed newspaper article. Your courtesy speaks highly of our press. I note your remarks on Georges promotion and your wished for his success in his career are much appreciated by myself & family. The boy himself has been football mad from he could toddle and if keenness mean anything he has that, and we hope he performs with credit as well as distinction on the playing field. Once again many thanks & best wishes to you in your own field, and may success attend you.